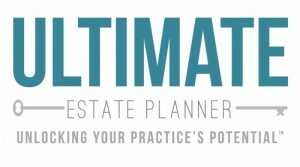 In this website’s content, as well as the products and services which may be provided to you (“CUSTOMER”) by The Ultimate Estate Planner, Inc. (“UEP”), either for a fee or free of charge, UEP will disclose certain confidential, copyrighted, trademarked, and/or proprietary information and materials owned by and/or relating to The Ultimate Estate Planner, Inc. and the Law Firm of Kavesh, Minor & Otis, Inc. (“KMO”), including but not limited to their business practices, forms, procedures, presentations and programs, marketing techniques and materials, and practice-building strategies. CUSTOMER agrees to maintain these items, information and materials and anything derivative therefrom as strictly confidential, to share them only with members of CUSTOMER’s own estate (or financial or accounting) planning practice and to use them only in the ordinary course of conducting that practice. CUSTOMER agrees to continue to display the copyright and trademark notices appearing on all materials or to substitute CUSTOMER’s company name followed by the words “Under License”. CUSTOMER also agrees to do whatever reasonably required by UEP to protect UEP’s and KMO’s copyrights and trademarks. CUSTOMER agrees to use these items, information and materials in compliance with all applicable federal and state laws and with the rules and regulations of all regulatory agencies CUSTOMER’s business practice may be governed by (e.g. State Bar, State Board of Accountancy, broker-dealer, FINRA, etc.). Either directly, or indirectly through others, use any of these items, information or materials (or anything derivative therefrom) in any other manner than as permitted above with UEP’s prior express written consent. Either directly, or indirectly through others, disclose, republish, redistribute, post on the internet, post on a listserv, or transfer in any manner to others any of these items, information or materials (or anything derivative therefrom) without UEP’s prior express written consent. UEP reserves the right to refuse to provide any of our products, services, information or materials to anyone. For example, UEP may refuse to provide CUSTOMER marketing materials that could be used in the Los Angeles and Orange County markets of Southern California, in possible competition with KMO. Submit the request in writing to UEP no later than 30 days from the date of purchase by e-mail at orders@ultimateestateplanner.com. Send any physical items or materials back to UEP (at the sole expense borne by the CUSTOMER). Monetary refunds will be issued to CUSTOMER upon compliance with the above requirements. Once refund requirements have been met, CUSTOMER will be given a full money-back refund for the amount paid for the product. The form of the refund shall be the same as was used to purchase the product (i.e. credit card, check, etc.). After 30 days from the date of purchase, products may not be refunded or returned. All items, information and materials are provided “as is”, without any warranty of any kind, express or implied, and without any continuing obligation of UEP to provide any updates. CUSTOMER is responsible for reviewing all items, information and materials to be sure that they are used in compliance with and meet the requirements of any and all applicable federal and state laws, or regulatory agency rules and regulations, as well as is responsible for updating them. UEP does not provide legal or financial advice and any purchase of its products and services does not create an attorney-client or financial advisory relationship with CUSTOMER.